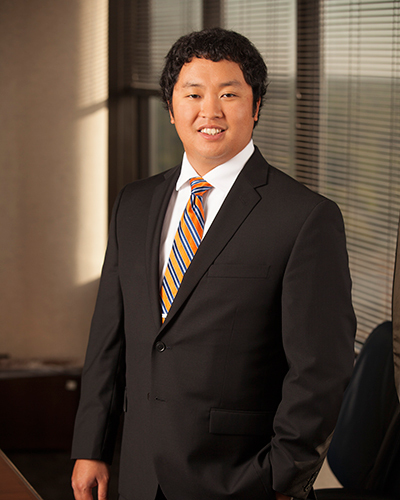 Thaddeus Swanson is an associate attorney in the firm’s transactional group. His practice focuses primarily on business, estate planning, and probate matters. He was born in Seoul, South Korea and raised in Long Prairie, MN. Thaddeus began his legal career in Williston, ND serving as judicial law clerk to the six judges in North Dakota’s Northwest Judicial District. When he’s not working, Thaddeus enjoys golfing, exercising, and spending time with friends and family. Controlled Substances Chaos: The Department of Justice’s New Policy Position On Marijuana and What It Means for Industrial Hemp Farming in North Dakota, 90 N.D.L.Rev. 599 (2016).